A Katyusha rocket fired from Lebanon Saturday morning landed near a home in Israel's western Galilee region. Three members of the family residing in the home sustained mild injuries in the attack, and two more suffered from shock. The wounded were treated by Magen David Adom paramedics and then evacuated to a hospital in Nahariya. The structure was damaged. Sources said the 122-milimeter rockets may have been discharged prematurely due to a technical malfunction that resulted from the inclement weather conditions. A report of an explosion at one of the Galilee's communities was received at approximately 8 am; residents initially thought the noise was related to the stormy weather, but then realized it was the result of a rocket attack after detecting smoke billowing from the damaged house and hearing the cries of the family members, who were asleep when the rocket hit. The commander of the local police station, Superintendent Victor Buskila, said "the rocket landed in an open area in close proximity to a house; damage was caused to two homes, and all of the injuries are mild." 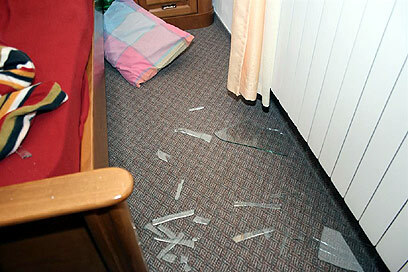 Shrapnel hit the room of a 14-year-old boy, who was sleeping in another room when the rocket landed near his home. His sister, who was lightly wounded, told Ynet "we were in the room when we suddenly heard a loud blast. At first we thought it was thunder, but then the windows shattered and black smoke filled the room. We began to scream. My younger brother was crying, so my parents came and took him out of the room. Within minutes neighbors, ambulances and police arrived – they told us a Katyusha had landed near our house. We were in shock." The head of the local council said the siren did not sound prior to the strike. "It's miracle no one was killed. Had the rocket landed just a few meters to the north, it would have had disastrous consequences." A statement issued by Lebanese Prime Minister Fouad Siniora's office following the rocket fire said Lebanon was committed to implementing UN Security Council resolution 1701, which ended a month-long war between Israel and Hizbullah in 2006. He said the attack threatened the area's stability and condemned Israel's artillery fire. "Prime Minister Siniora (said) the rockets launched from the south threaten security and stability in this region and are a violation of resolution 1701, and these issues are rejected, condemned and denounced ... Israeli artillery (fire is an) inexcusable violation of Lebanese sovereignty," the statement said. Hizbullah, for its part, denied any involvement in the attack. During Israel's military offensive in Gaza Katyushas were fired at the northern part of the country in two separate incidents. On January 14 a rocket barrage hit the Galilee region. Lebanese officials said the attack was apparently related to the IDF's activity in the Strip. No Israelis were injured in the strike, but two were treated for shock. 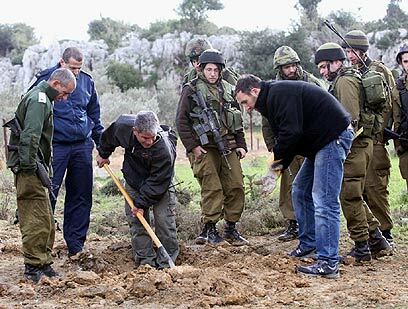 A few days prior to that attack a Katyusha fired from Lebanon directly hit a nursing home in Nahariya, and another rocket landed in the town's vicinity. Two people were lightly wounded and evacuated to the local hospital. Five other residents were treated for shock. In mid-January UNIFIL forces discovered five rockets in south Lebanon, just north of Rosh Hanikra. Lebanese media said the projectiles were not prepped for firing into Israel. See all talkbacks "Katyusha hits Galilee community; 3 lightly hurt"